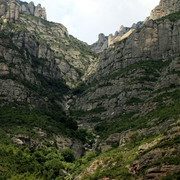 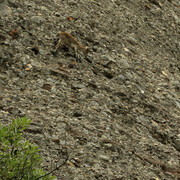 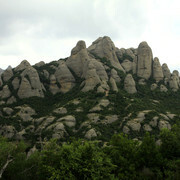 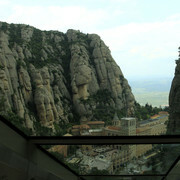 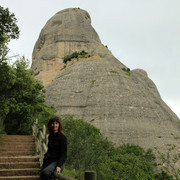 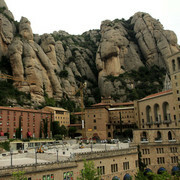 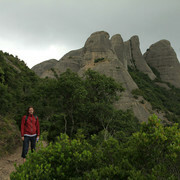 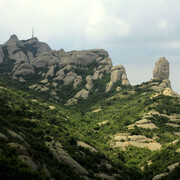 The towering pink pegs and jagged peaks of Montserrat offer up a spiritual and energising experience. 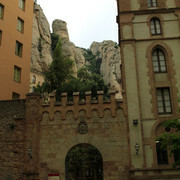 The word Montserrat actually means 'serrated mountain'. 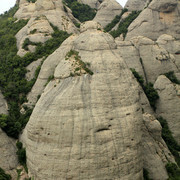 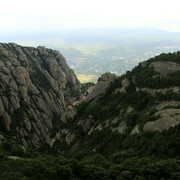 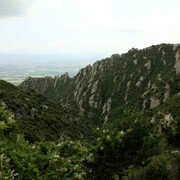 These mountains have been said to have been fashioned as a palace for the Virgin of Montserrat; "with a saw of gold the angels cut down these hills", or so claimed the Catalan poet Jacint Verdaguer in his hymn to inspire, Virolai. 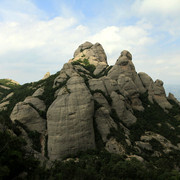 While trekking in Montserrat you will find the Monastery of Montserrat is the spiritual focal point of any visit to these mountains, and is also a great base to start out on your treks. 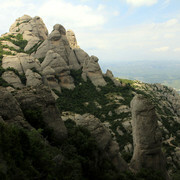 Situated 35 km north west of Barcelona, Montserrat quite simply offers some of the best multi-pitch sports climbing in Spain, with its many towers and pinnacles of conglomerate mountain rock, providing a fantastic playground for rock climbers. 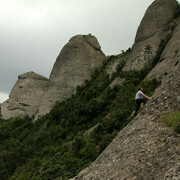 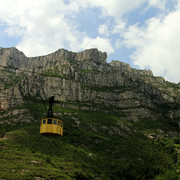 There are over 1,700 routes here with a good mixture of sports routes and traditional routes.